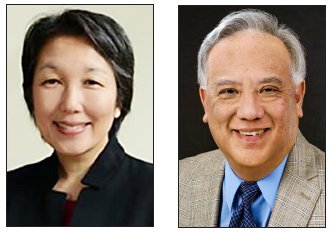 Keiro announced this week that President and CEO Leona Hiraoka is departing the organization to pursue new leadership opportunities. Hiraoka was appointed in February 2017. The organization praised her for bringing community leaders, healthcare leaders, and prominent local and multinational organizations to the table to build solutions that serve older adults in the Japanese American and Japanese-speaking community. Prior to working for Keiro, Hiraoka was CEO and founding partner for Integrated Media, a marketing and communications firm. Keiro has faced criticism from those who opposed the sale of its four facilities — two nursing homes, an intermediate care facility and a retirement home — in 2016. Hiraoka succeeded former president and CEO Shawn Miyake after the sale. In 2018, Keiro advanced a culturally responsive palliative care program, a social services resource program for those with pressing needs, and social innovation programming, as well as continued a grants program that supported dozens of local community organizations’ older adult services. Keiro’s first-ever festival celebrating older adults (Keiro no Hi) attracted 1,000 attendees to Little Tokyo. The Keiro Board of Directors appointed Gene S. Kanamori as president and CEO. “Having served as Keiro’s interim president and CEO in the past, Gene is a proven leader and the board is confident that Keiro’s programs and services will continue with great success,” stated Miyamoto. Kanamori also served as Keiro’s director of human resources and is a member of the board of Seattle-based Densho and the Board of Governors for the Japanese American National Museum. He is the co-founder of a philanthropic group called Sansei Legacy of Southern California.